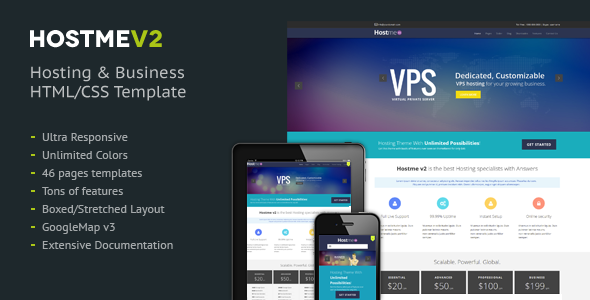 Hostmev2 is a very powerful HTML5 Template with many features easy to edit for both, users without programming knowledge and for developers. It empowers you to change any color of elements such as backgrounds, texts, links, menu links, typography, etc. The main content block is placed before the sidebar regardless of the sidebar position, so it is crawled first by search engines, so its SEO Optimized. Item Reviewed: Responsive HTML5 Template for Hosting Website 9 out of 10 based on 10 ratings. 9 user reviews.